To the disdain of Dodger haters everywhere, Clayton Kershaw has been named the National League MVP for the 2014 Baseball season. He becomes the first pitcher to win the award since Bob Gibson in 1968, and the first Dodger since Kirk Gibson in 1988. Overall, this is just the 10th time a pitcher has ever been awarded the MVP in the National League; joining a list that includes Carl Hubbell (twice), Dizzy Dean, Bucky Walters, Mort Cooper, Jim Konstanty, Don Newcombe, Sandy Koufax and Bob Gibson. Kershaw is also the third Dodger pitcher to come home with the big award - more than any other club. For the 11th time a Dodger has won the MVP - Roy Campanella (three times), Dolph Camilli, Jackie Robinson, Newcombe, Maury Wills, Koufax, Steve Garvey and Kirk Gibson. This was the 11th time players from one market were MVPs the same year and the fifth time involving the Dodgers. While in Brooklyn, Camilli won in 1941 with the New York Yankees’ Joe DiMaggio; Campanella and the Yankees’ Yogi Berra won in 1951 and ’55, and Newcombe won with the Yankees’ Mickey Mantle in 1956. Vote totals for the National League ballot was close. Kershaw and second place Giancarlo Stanton were separated by just 57 points. Kershaw received 355 points (18 first place votes) compared to Stanton's 298 points (8 first place votes). Andrew McCutchen was a close third with 271 points (4 first place votes). You can call me a homer all you want, but this was clearly one of those seasons where not a single non-pitching position player established themselves as the leagues best. So, it's only appropriate that a pitcher of Kershaw's class be considered for MVP. After all, no batter came close to eclipsing Kershaw's 8.0 WAR for the season, and no player was more impactful to their teams regular season success. Consider this, when Clayton started his 41 inning scoreless innings streak on June 13th the Dodgers were 8 games back of the Giants. 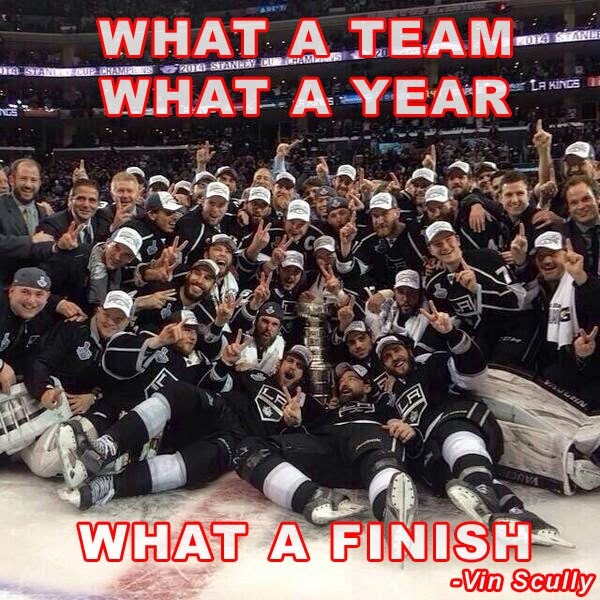 By the time the streak was over they had a 0.5 game lead in the division. That's the kind of message your best player, a leader and the MVP candidate has to make. 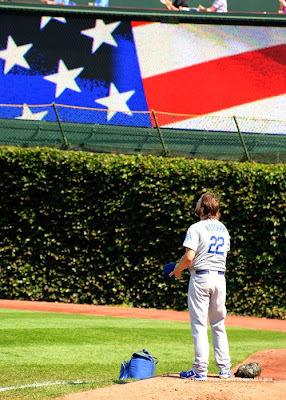 Enough is enough, and nobody is better at delivering that kind of message than Clayton Kershaw. Go here to check out a complete list of players who received votes this season. Of note, three other Dodgers also received votes on the MVP ballot. Adrian Gonzalez, who lead the Majors in RBI's, received 57 points and was seventh overall in balloting. Yasiel Puig received 8 points and second baseman Dee Gordon received 1 point. Dee Gordon is certainly a surprise here. He seemingly came out of nowhere to win the Dodger second base job and came out of the gate like a bull. 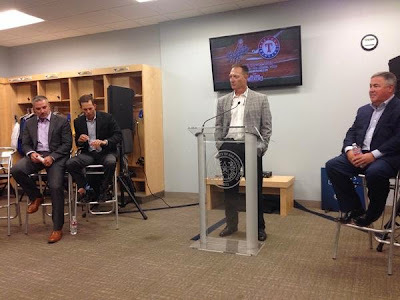 Dee reasserted himself into the Dodger plans by making himself an important cog in the Dodger machine. He batted .298 with a Major League leading 12 triples and 64 stolen bases. BTW, John Maffei of U-T San Diego was the reporter who gave Gordon his 10th place vote. Below is a video of Kershaw winning the award. Here's a highlight video featuring Kershaw for winning both the Cy Young and MVP this past season. 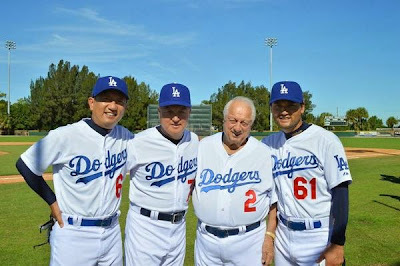 Pic at the very top via Jon SooHoo/LA Dodgers 2014. "An individual player is part of a greater whole--a player is part of a team. 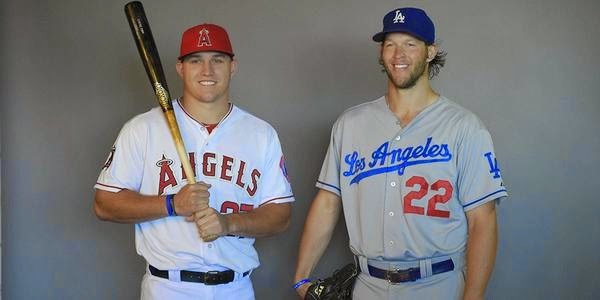 So any recognition of a single player is really just a reflection of the bigger picture," said Kershaw. 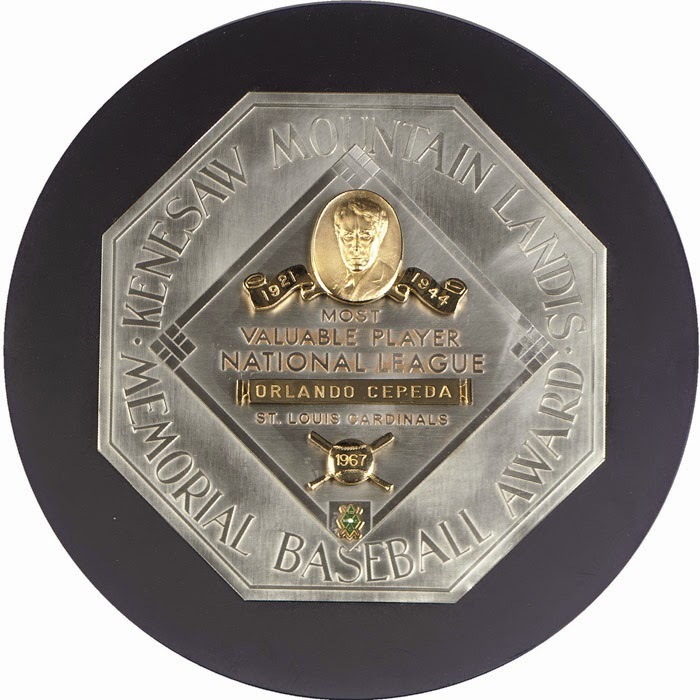 "I'm really humbled to receive the award for Most Valuable Player in the National League. 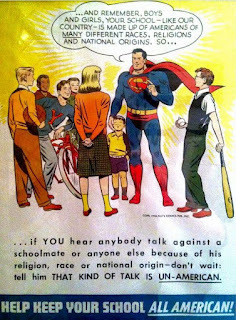 Apart from previous recognition, this award feels significant in a different way. I never imagined getting to receive this honor. To the Baseball Writers' Association of America--thank you. To my teammates and coaches--this is a shared honor. I'm thankful to share seasons with gifted guys I respect. 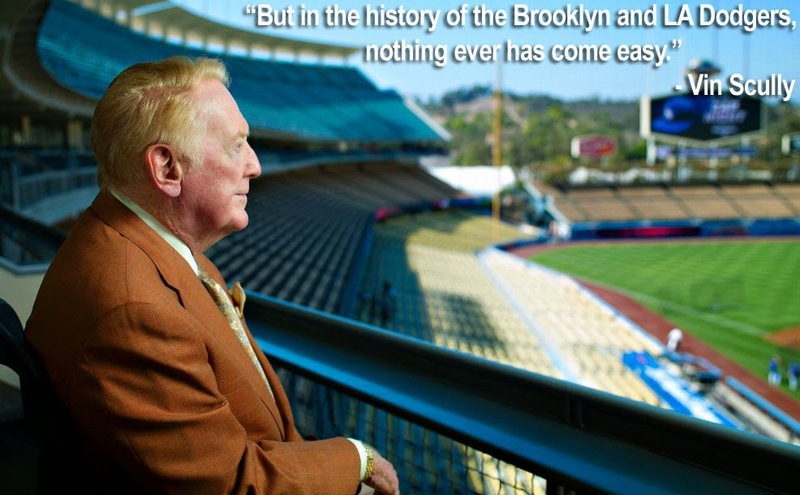 To the Dodgers organization and fans--playing baseball in Los Angeles is a privilege and I'm proud to represent you. 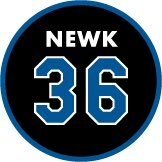 I'm overwhelmed by the honors this off season has rendered. 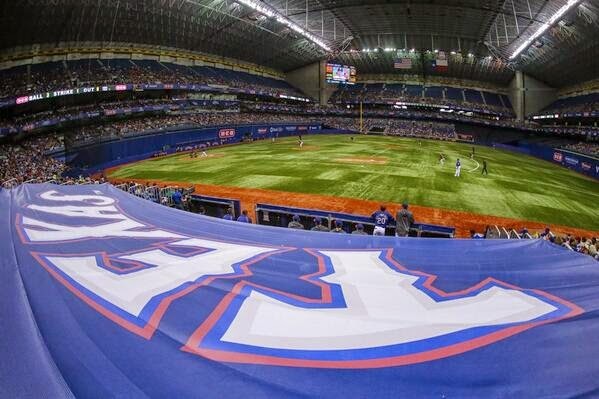 Thanks for making the 2014 baseball season one I will remember for the rest of my life." 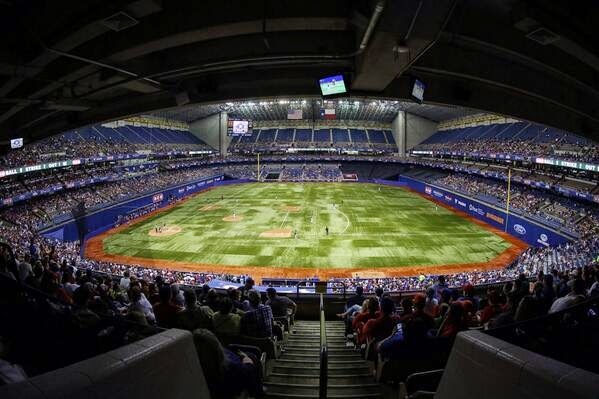 Furthermore, the Dodgers will be returning to San Antonio after a 23 year hiatus. As you may know, the Dodgers AA minor league affiliate was in San Antonio from 1977 to 2000. Notable Dodgers to have played in San Antonio on their way up to Los Angeles include Adrian Beltre, Bob Welch, Mike Scioscia, Orel Hershiser, Fernando Valenzuela, Steve Sax, Ramon Martinez, John Wetteland, Raul Mondesi, Mike Piazza and Eric Gagne. 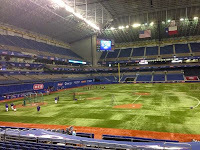 Last year the Rangers played host to the Houston Astros in Alamodome, and in 2012 they played the San Diego Padres. 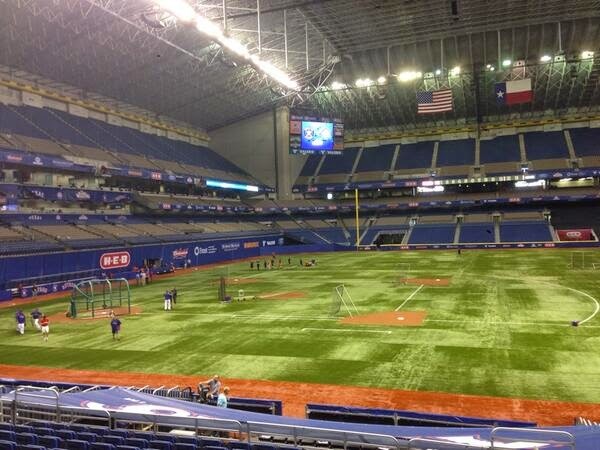 Tickets go on sale tomorrow for the games against the Dodgers. Go here for information and tickets. 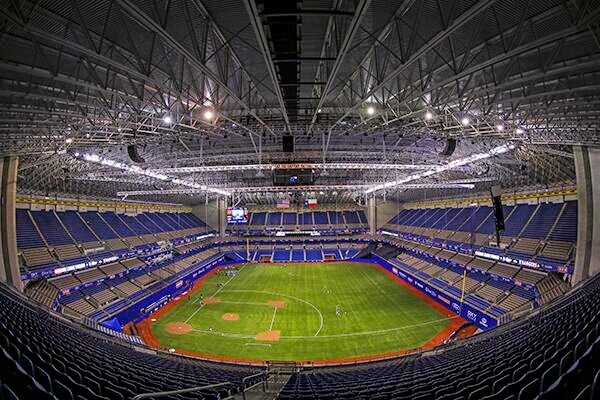 BTW, from what I understand a sports collectors show at the Alamodome had been planned for that weekend in the past, so I expect that will continue for 2015. 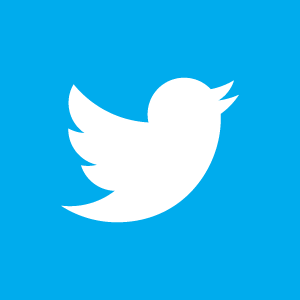 You can also follow the Big League Weekend on twitter here: @SABigLeagueWknd. 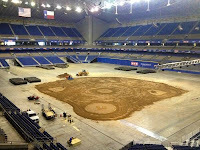 Here are more photos of the field at past ballgames in the Alamodome, via @SABigLeagueWknd. Click on any pic to embiggen. Pic at the very top via @SABigLeagueWknd on twitter. 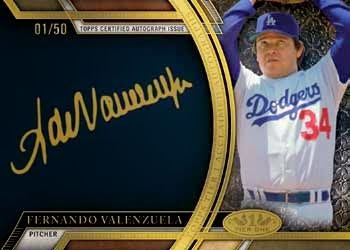 Ephemera is a broad branch of collecting that is not well known, but is something most sports collectors are active participants in. 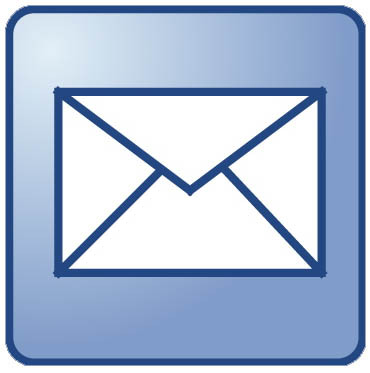 It typically consist of paper (printed) items that were originally meant to be discarded after their intended use. Although, that is a bit of an antiquated definition. Maybe the best explanation I've read is from noted collector Maurice Rickards who said that ephemera is “minor transient documents of everyday life.” This could be flyers, business cards, calendars or event tickets. These days ephemera collecting has expanded even further towards certificates, bank notes, letters and even trading cards. 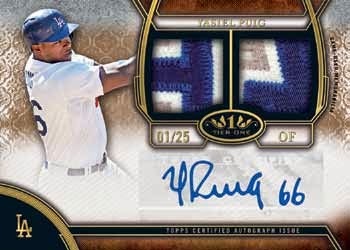 Featured here are a couple of unique ephemera items related to the Dodgers that I wanted to point out. They are currently available for sale through Legendary Auctions and will be closing next week. 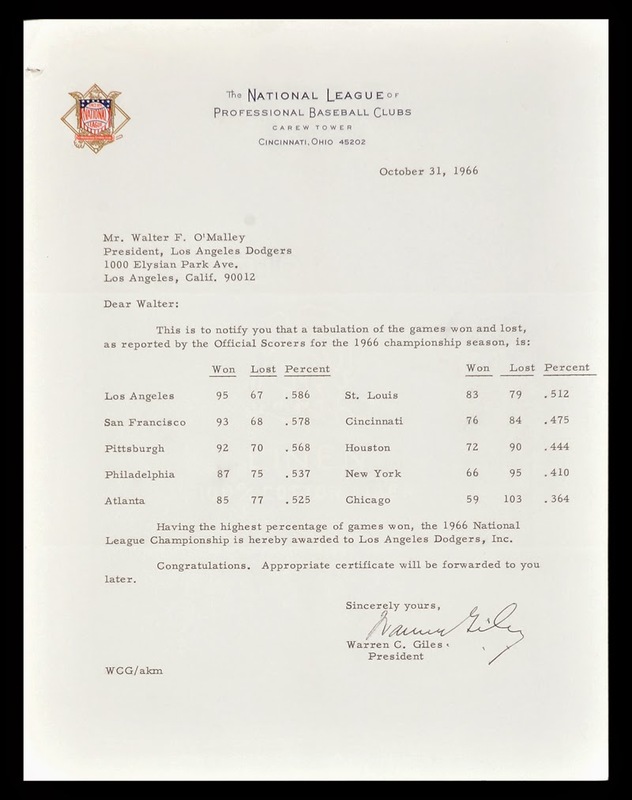 Directly below is a 1966 letter from National League President Warren Giles to Dodger owner Walter O'Malley. 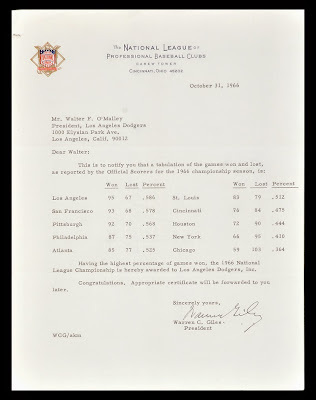 In the letter he officially notifies O'Malley that the Dodgers are the victors of the National League. It seems a bit odd to me that this is something O'Malley has to be told, but I guess official recognition is required. This next item is just plain awesome. 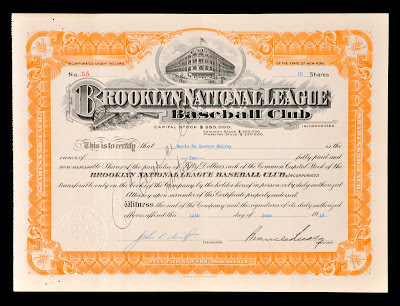 Below is a Brooklyn Dodgers ownership stock certificate dated June 18, 1948 and signed by team President Branch Rickey. 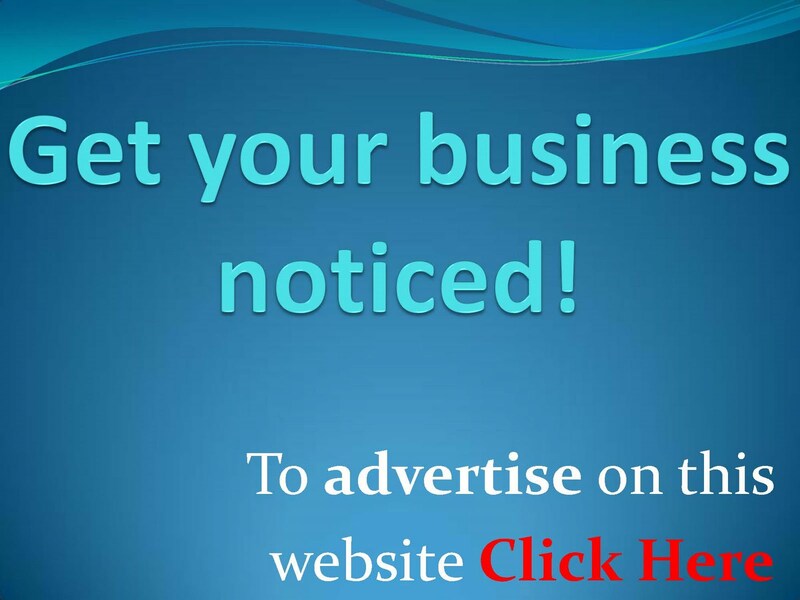 It is for 10 shares of stock and has been issued to Marie McKeever Mulvey. BTW, Marie has signed the certificate on the reverse. Marie, or Dearie as she was known to friends, was the daughter of construction contractor Stephen McKeever. As you may know, Stephen and his brother Ed partnered up with Charles Ebbets to build Ebbets Field; taking a significant ownership stake in the process. Together with Ebbets they continued to operate the franchise until Charles Ebbets died in 1925. Thereafter, the McKeever's became the primary operators of the club until Stephen's death in 1938. 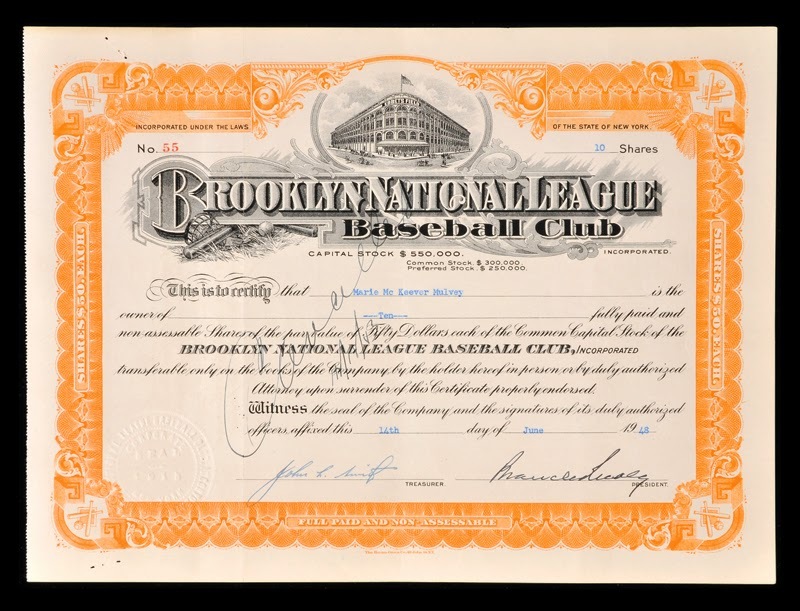 At that point, Dearie became an owner of the team; along with the Brooklyn Trust Company (owners of the estate of Charles Ebbets) who had designated Walter O'Malley as their overseer. She maintained significant ownership in the club until her death in 1968, at which time her husband took control until he sold the family's final shares to O'Malley in 1975. BTW, her husband was James Mulvey, who was once President of Samuel Goldwyn Productions. 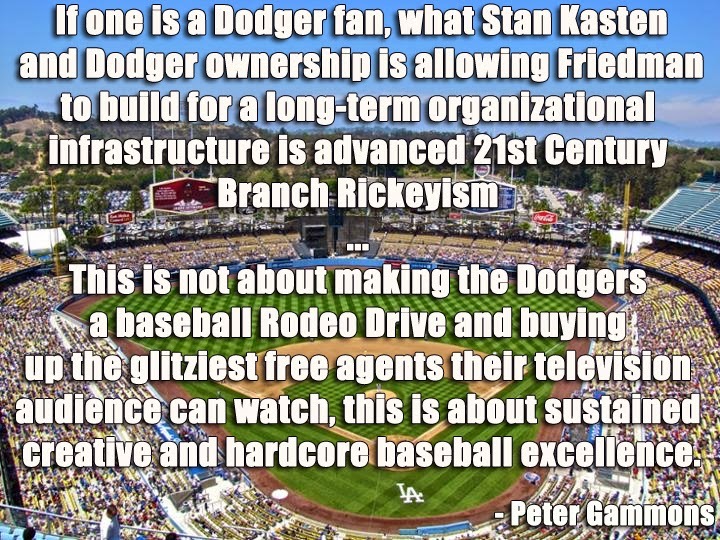 I wonder if I went to Stan Kasten with this document, would he grant me part ownership in the club? Do you think I could finagle my way into the ownership box?